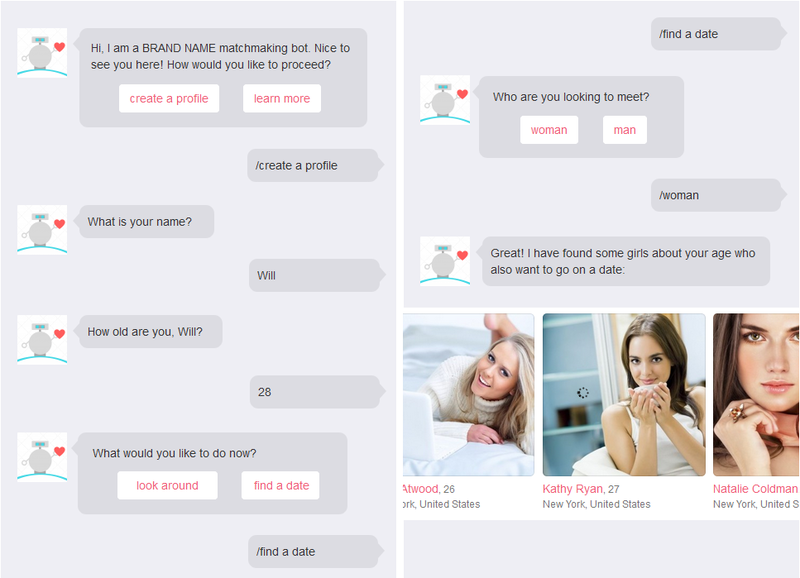 Let people find matches on your dating site by talking to a bot in a popular messenger such as Viber, Telegram, or WhatsApp. The bot will ask questions, firstly about the person to build their profile and then about who they are looking to meet. 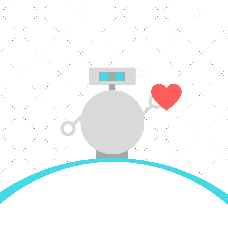 The bot will then connect to the database of your dating site and display matches who meet the person's criteria. This is a very schematic way to show what it may look like. Choices such as 'create a profile' or 'learn more' are convenient as buttons because they only require a tap to select.